Valerie Ritchie won a WBE Doing Business Award for exceeding $1 million in sales in 2015. More than 65 per cent was with companies supporting diverse suppliers. TORONTO – Business connections are crucial in the automotive industry, but they’re sometimes difficult to make. In Canada, companies that are at least 51 per cent owned, operated and controlled by women can make those connections through Women’s Business Enterprises Canada. While diversity suppliers can also include minorities, First Nations, and LGBT, WBE Canada is the only Canadian owned and operated certifier for women-owned companies. It began in 2009, using a template from Women’s Business Enterprise Council (WBEC) in the United States. It supports all types of businesses, but Anderson estimates that about 20 per cent of its 250 certified members are involved in automotive. These include direct suppliers, such as those making components, as well as those with indirect products, such as marketing, training, logistics, and legal services. Eligible companies are audited to determine their qualification, and pay $750 in annual membership fees. The organization estimates that 97 per cent of Fortune 500 companies have supplier diversity programs, reaching out to diversified companies or dedicating a portion of contract spending to them. In addition to the connections, WBE Canada provides training in professional development, mostly through webinars. “We’ve covered how to write an RFP [request for proposal], how to leverage financial services and the support that’s available, how to present capability to corporations,” Anderson said. Valerie Ritchie, of Stratford, Ont., is president of Racks Unlimited, which makes automotive shipping racks as a Tier 1 and Tier 2 supplier. 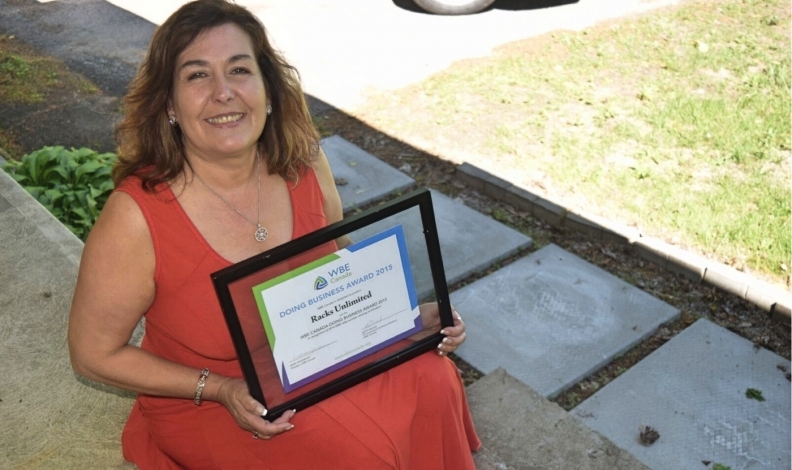 She began the business in 1996, and joined WBE Canada in 2015 after she attended a women’s business conference a few years earlier and learned about certification for suppliers. Her certification is primarily important when quoting to companies with diversity spending. Even so, the certification only goes so far, Ritchie says.